Wizard III Roasted Maple neck - The Wizard III Roasted Maple neck features a nitrogen-heating-treatment which results in more stability, durability, water resistance and tolerance to temperature changes. Macassar Ebony fretboard - Macassar Ebony produces a tight low and mid range with an iconic attack on the high end. It also features a quick response and rich sustain. 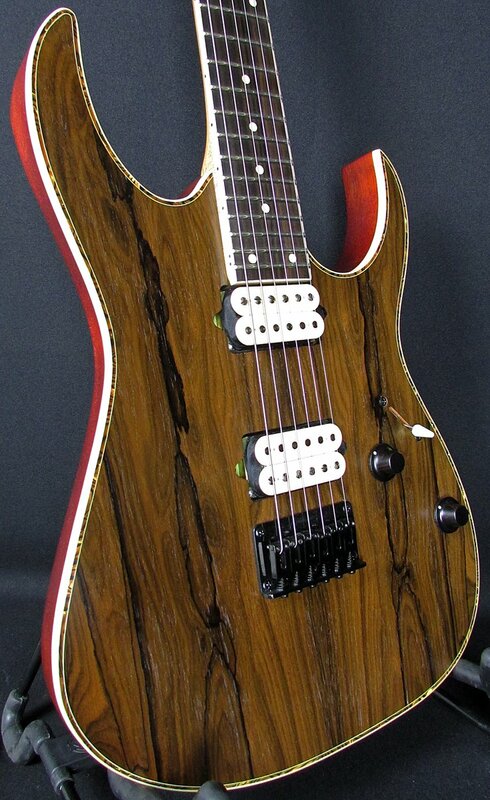 Ziricote top/Mahogany body - The RGEW521ZC features a Ziricote top with an exotic wood grain. DiMarzio® Pickups - 6 strings - A pair of high-output DiMarzio® Air Norton™ and The Tone Zone® pickups offers a huge sound with a broad dynamic range and infinite sustain.